"British Columbia - Cheam Peak"
Photograph taken looking towards Cheam Peak, just east of Chilliwack. 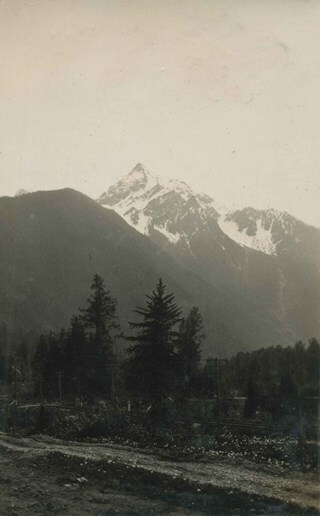 This photograph appears to have been taken by Arthur Peers, who travelled through the Fraser River Valley and worked on the construction of the Trans-Provincial Highway during the later 1920s. Photograph of Cheam Peak taken from a spot identified as Jones Hill. A road is seen running through the foreground. 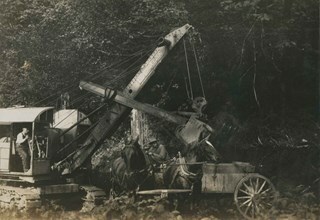 This photograph appears to have been taken by Arthur Peers, who travelled through the Fraser River Valley and worked on the construction of the Trans-Provincial Highway during the later 1920s. 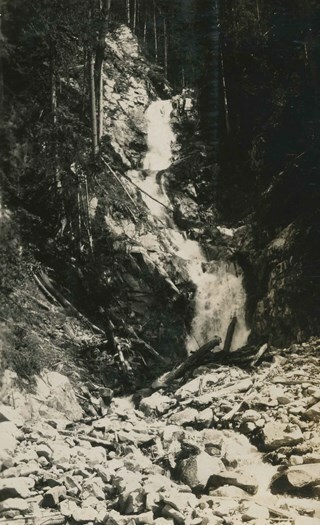 Photograph of a waterfall, near Cheam Peak. 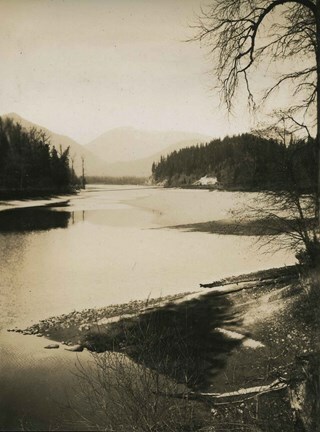 This photograph appears to have been taken by Arthur Peers, who travelled through the Fraser River Valley and worked on the construction of the Trans-Provincial Highway during the later 1920s. Photograph taken looking over a river towards Cheam Peak, which is visible in the background. A cable can be seen stretching over the river. 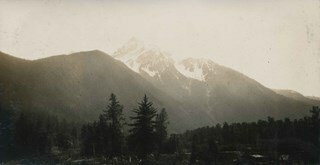 This photograph appears to have been taken by Arthur Peers, who travelled through the Fraser River Valley and worked on the construction of the Trans-Provincial Highway during the later 1920s.